PRAYER PROMPT ••• Have you ever had a passport? This little book holds great potential. It gives the authority to travel internationally and spend time in foreign countries. But to get it – it’s not easy. It takes time and money to obtain it. But most find the effort worthwhile when it comes to seeing the world. Have you ever thought about our faith with Christ in the same way? 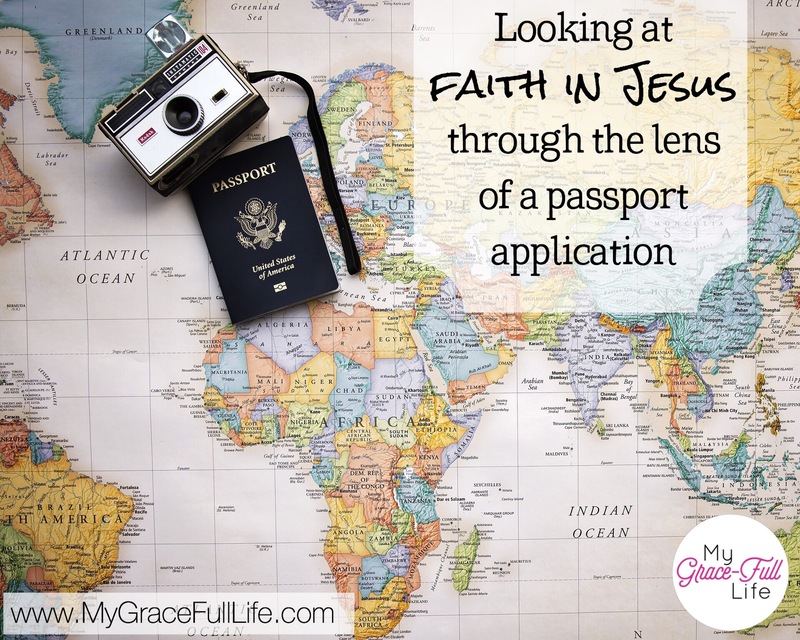 Let’s talk about our faith in Jesus through the lens of a passport application. 1) FILL OUT YOUR FORM: Once you’ve decided to accept Jesus’ gift of salvation, He takes over the paperwork. In fact, it’s just one line He fills in – He writes your name in the Lamb’s Book of Life. Once your name is there, it can’t be erased (Luke 10:20). 2) COLLECT YOUR SUPPORTING DOCUMENTS: Unlike a passport, we don’t need supporting documents. When we’ve sincerely repented of our sins, He sends the Holy Spirit to live in us (John 14:15-17). 3) GET YOUR PHOTO: We are created after God’s own image, and since He knitted us inside our mother’s wombs, He’s already got our photos on file (Genesis 1:27; Psalm 139:13). 4) CALCULATE YOUR FEES: We are sinners and the price of sin is death – the eternal separation from God. But again, Jesus has taken care of this too. He paid the price for our sins so all we need to do is confess that He is Lord and ask Him to save us. There is nothing else we owe (Romans 6:23, Ephesians 2:8-9). 5) SUBMIT: When we submit our lives to Christ, we are then under the protection and authority of His grace and mercy. Through submission, we are liberated and never need to worry about anything, because God’s got it all under control (Proverbs 3:5-6, James 4:7, 1 Peter 5:6, Romans 8:28). The process of becoming Jesus’ is simple. But the effort of living for Him is worth it when it comes to seeing the magnificence of heaven and spending eternity in His glorious presence (2 Corinthians 4:16-18). Today, as you pray, thank Jesus for making the opportunity to live with Him in heaven a very real future for all who have accepted Him. Pray for those who need their names written in His Book of Life, that they too may share in eternity with Jesus.